Mortgage Giants Ease Down Payments For First-Time Homebuyers Fannie Mae and Freddie Mac will begin allowing first-time homebuyers to put down as little as 3 percent. But critics say the move is risky and could create another housing crisis. 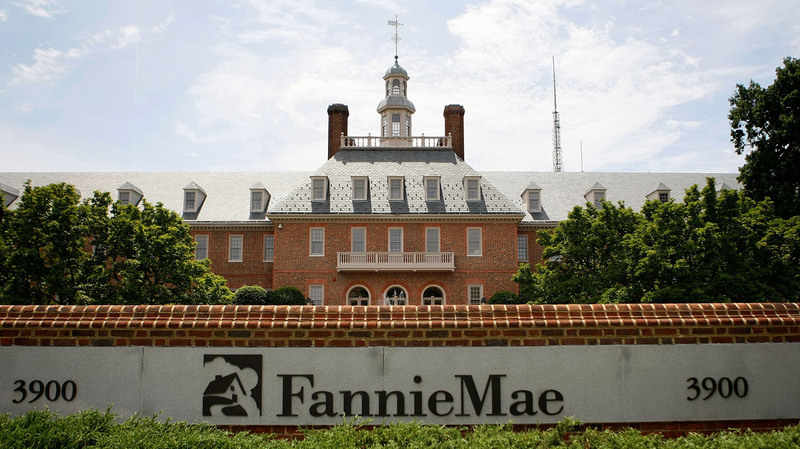 A new directive from the Federal Housing Finance Agency, which regulates mortgage giants Fannie Mae and Freddie Mac, will allow first-time homebuyers to put down as little as 3 percent. A federal directive will go into effect Saturday making it easier for some Americans to come up with a down payment to buy a house. The vast majority of home loans are guaranteed by the government-controlled mortgage giants Fannie Mae and Freddie Mac. The regulator in charge of Fannie and Freddie will allow first-time homebuyers to put down as little as 3 percent. The move is part of an effort by Melvin Watt, the head of the Federal Housing Finance Agency, to make home ownership once again more attainable for more Americans. "Our objective here has been to normalize the availability of credit for borrowers who have the ability to repay a loan," Watt said at a recent Senate hearing. Under this latest move, if you qualify, say on a $200,000 house, you could now put down just $6,000 instead of $10,000. But many conservatives don't like that. "I think it's a bad thing," says Edward Pinto, director of the American Enterprise Institute's International Center on Housing Risk. He says going back to such low-down-payment loans is risky. If you put 3 percent down, and housing prices start falling even a bit, you can quickly owe more than your house is even worth. Pinto says "the last run that ended poorly with the housing price collapse in 2006-7" began in 1994, when "Fannie announced it would start doing 3-percent-down loans." Few analysts say we're anywhere near returning to the days of reckless lending during the housing bubble. You probably remember those no-document loans, or zero-down interest-only loans, or the loans where after two years the payment exploded into an unaffordable amount. These new 3-percent-down loans are plain-vanilla, 30-year fixed-rate mortgages. "Risk is moving up slowly but steadily, and these things take place over a period of many years," Pinto says. "And it tends to be like the proverbial frog in the pot of water put on a slow boil. The frog doesn't notice it because it's happening very slowly. That's one of the reasons that we decided to publish the risk index that we publish." But some housing experts says the system is still too risk-averse, and it's too hard to get a mortgage. "Right now credit scores for loans that are being approved are at their tightest level ever," says Mike Calhoun, president of the Center for Responsible Lending. The average American household's credit score is under 700, and the average loan that's getting approved is for people with a 750 credit score, Calhoun says. "That is a big difference," he says. "There are estimates that anywhere from half a million to a million households each year who would normally qualify for home mortgages are being cut out of the market today because of this overly tight credit." So Calhoun says the move to offer 3-percent-down loans for first-time homebuyers as a step in the right direction.